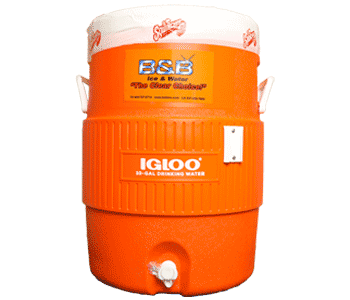 Products – B & B Ice - Port Arthur, Texas Serving the U.S. 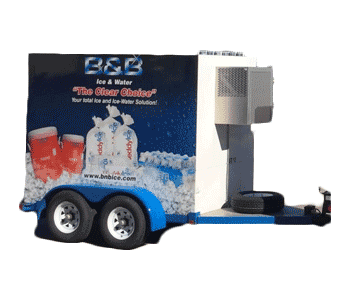 Your total ice & ice-water solution! 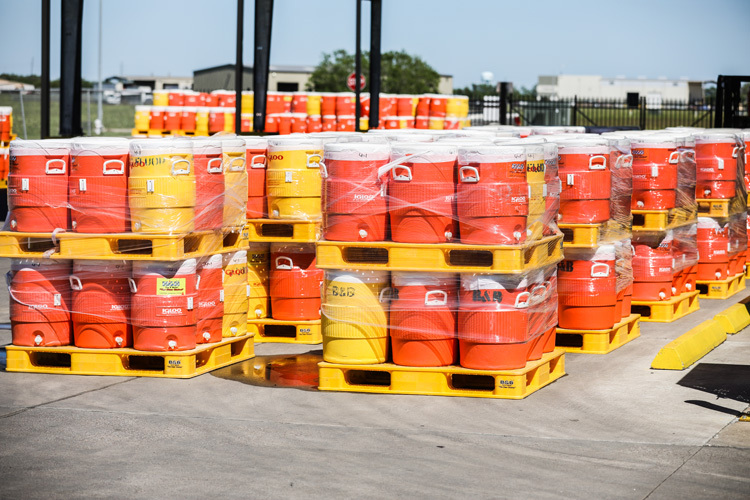 B & B specializes in offering our industrial clients cost-effective solutions to the challenges of keeping their workforce safe in the extreme heat of the Gulf Coast. Below is a list of our main areas of expertise. 10 Gallon and 5 Gallon Ready to Drink Water Coolers. Customized daily delivery service. Safety sealed and dated for consumption. 10 Gallon and 5 Gallon Ready to Drink Gatorade Coolers. Customized daily delivery service. Safety sealed and dated for consumption. 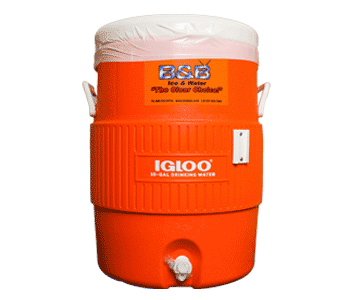 10 Gallon and 5 Gallon Ready to Drink Sugar Free Sqwincher Coolers. Customized daily delivery service. Safety sealed and dated for consumption. 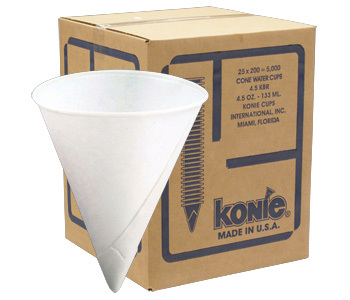 Each 5,000 count box contains 25 sleeves of cone cups. 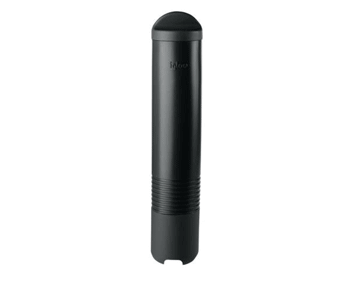 Each sleeve contains two hundred 4.5 oz. cone cups. A perfect match for our Pre-Filled Cooler service. 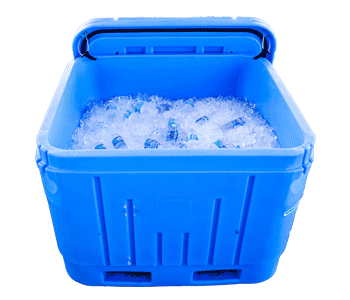 Cup holders keep a tidy work area and attach directly to our ready-made coolers. The cup holders are designed specifically for our 4.5 oz. cone cups. 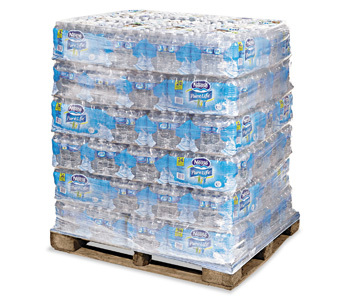 Bottled water delivered by the pallet. Each pallet of 16.9 oz. bottles contained 84 cases, 24 bottles per case, 2016 total bottles. 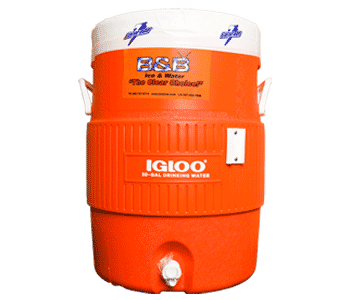 Let us customize a drinking water solution for you. 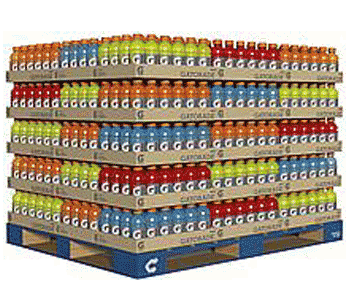 Bottled Gatorade delivered by the pallet. Available in assorted flavors and sizes. Let us customize a hydration solution for you. Whether it’s a merchandiser set for a point of sale store front or for a labor force set directly on your construction site we have the service for you. Choose the perfect sized full service merchandiser to fit your needs. 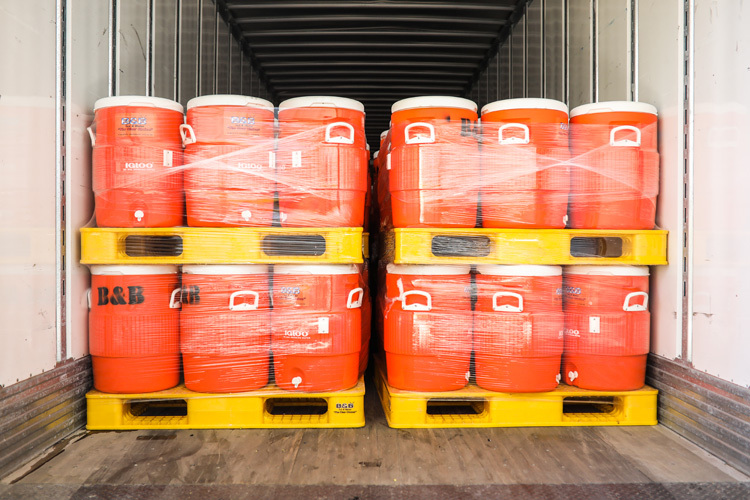 Each container is delivered with iced down ready to drink bottled water. 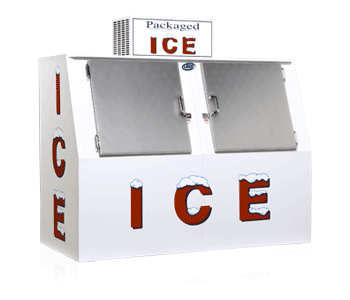 These aren’t your average ice chests. 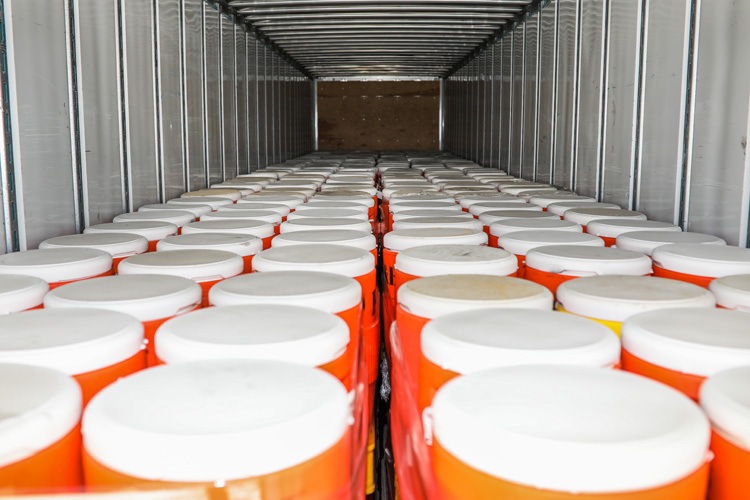 Each container holds over 500 of the 16.9 oz. bottles. The containers are forkliftable and extremely rugged, a perfect fit for the jobsite. Let us create a custom solution for your special event. From community festivals to large scale industrial projects we have the solution for you. 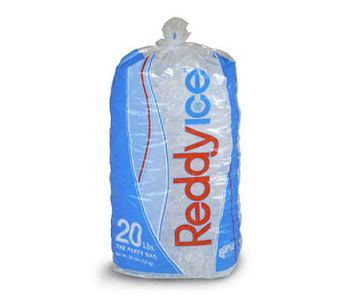 IPIA Certified bagged ice. 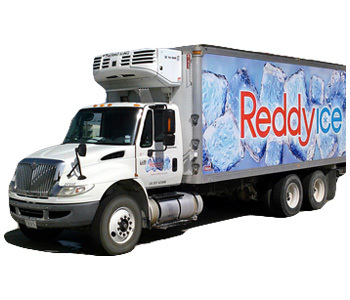 Our ice is made from purified water in a shape specially designed to stay frozen longer. Its bagged and then cured for the highest product quality. Delivered directly to you in 10 or 20 pound bags. Servicing manpower needs from a single crew to over 10,000 strong. 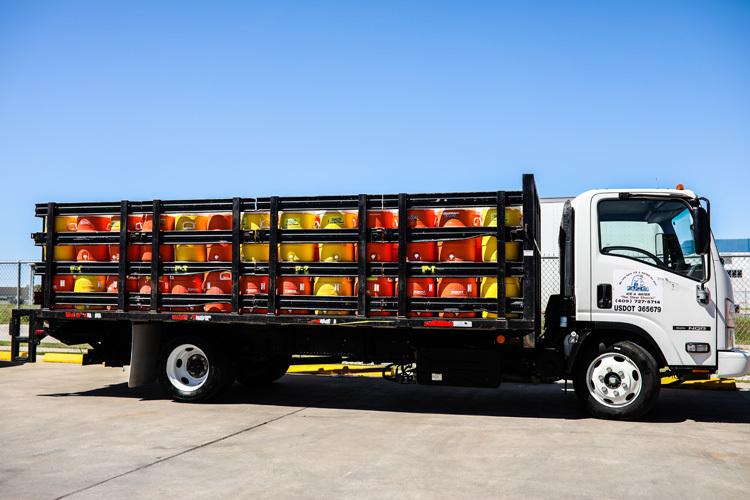 We are experts at creating a custom delivery solution for your workforce. Allow us to create a custom solution for your drinking water needs. See more photos below.